This overseas training programme is subsidized by the New Technology Training Scheme (NTTS) of the Vocational Training Council. To improve the competitiveness of Hong Kong textiles and apparel industry, Hong Kong has to shift from the traditional textiles and clothing commodities market to the high value added market; that is, they need to be advanced in technology and innovation on raw materials. 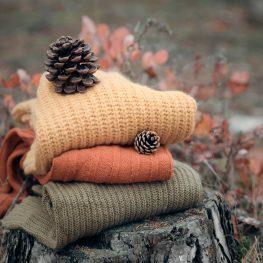 Merino Wool fibre is used mostly in high retail value textile applications, such as quality woven apparel and knitwear, and in premium bedding and other interior textile products to a much lesser extent. The Woolmark Company is a non-profit making organization, which mainly provides broad investigation of technology, training and consulting services to wool and apparel sectors in Australia. In view of the aforesaid facts, the Clothing Industry Training Authority and the Woolmark Company are going to organize this Training Programme together. The objective is to let the Hong Kong apparel industry to gain the knowledge on the latest technologies and development on Merino Wool innovation products, and how to enlarge the applications on environmental friendly and functionality areas. In order to stimulate the creative ability of our workmanship and to extend the value added dimension. The ultimate aim is to speed up the transformation of the textiles and apparel industry from the mass production mode towards high value added direction. This intensive training program will be held at the Australia from 5 Mar to 10 Mar 2017. On a full cost recovery basis for 20 participants (projected), the program fee is estimated to be HK$18,630 per participant. This programme is designed for those in the managerial position with responsibilities for research and product development, merchandising and sales, including Senior Executives, Merchandisers and Decision Makers in the company, etc. 2 6 Mar (Mon) Lectures from Woolmark Company • New innovative products: such as Merino Touch, Shower suits and other newly promoted products etc. • Concept of sustainable wool production in Australia and other natural and eco issue on wool production.Lectures from Australian Wool Exchange (AWEX) • Introduce how they could committed to ensuring that wool traded in Australia meets international customer standards and that these standards are communicated to all those involved in the supply chain. 4 8 Mar (Wed) Visit a wool-growing farm • Through site visit to understand how to base on the fibre diameter, staple length, vegetable matter to classify greasy wool into different grades, after shearing. • To discuss breeding techniques which build a finer quality wool. HK$18,630 per participant (single room supplement: HK$3,000). 6. Costs associated with the organization and implementation of the programme. The participation fee does not, however, cover expenses for lunch and dinner, laundry, airport tax, fuel tax, security tax, visa fee, etc. Travel arrangement and hotel accommodation for this programme will be arranged by a licensed travel agent. This overseas training programme is subsidized by the New Technology Training Scheme (NTTS) of the Vocational Training Council. Training grant up to HK$7,865.00 can be obtained by eligible applicants. Please complete and return application form together with the participation fee to the 3/F., Clothing Industry Training Authority, 63 Tai Tip Street, Kowloon Bay, Kowloon. (Cheques should be crossed and made payable to “Clothing Industry Training Authority”). Should an applicant withdraw from the study group, only 50% of the payment will be refunded. However, full payment will be refunded if the study group is cancelled by CITA due to circumstances beyond control. Applicants who wish to stay behind or require special arrangements for connecting flights to other places at the end of the training programme should provide details in the application form. Any additional costs will have to be borne by the individual applicant.